MPPEB Upper Middle School Teacher Answer Key Check Here. MPPEB Upper Middle School Teacher Post Admit Card Check Here. MPPEB Upper Middle School Teacher Post New Exam Date Notice. MPPEB Notification is out. MPPEB is recruiting for 5670 Upper Middle School Teacher Post Posts. You can check MPPEB - Madhya Pradesh Professional Examination Board last date, download MPPEB notification, visit MPPEB official website and check other MPPEB Vacancy details.Complete Vacancy and recruitment Details about 5670 Upper Middle School Teacher Post vacancies in MPPEB are provided below by JobSarkari.Com only for you. Last Date for Apply Online 12/10/2018. Last Date for Payment of Application Fee 12/10/2018. Last Date for Correction in Application Form 17/10/2018. Download Admit Card February 2019. General / Other State Rs.570/-. SC / ST / OBC Rs.320/-. Candidate Must Have Passed Graduation With 50% Marks and B.Ed. 24 to 40 years for Male. 24 to 45 Years for Female. 5670. 6.Online Application Can be Submitted on or Before 12th October 2018. Q. 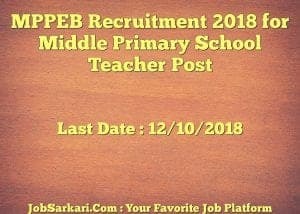 What is the Last Date For MPPEB Upper Middle School Teacher Post Vacancy ? A. 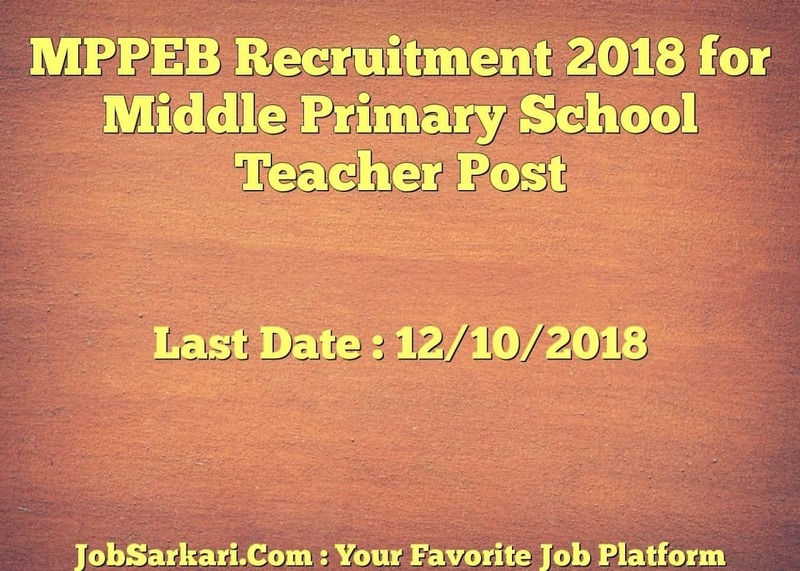 Last Date for MPPEB Upper Middle School Teacher Post Posts is 12/10/2018. Q. What is the Form Type of MPPEB Upper Middle School Teacher Post Recruitment ? A. The Form Type for MPPEB Upper Middle School Teacher Post Posts is Online. Q. How many vacancies are available in Madhya Pradesh Professional Examination Board Upper Middle School Teacher Post Posts ? A. There are about 6000 Vacancies in Madhya Pradesh Professional Examination Board Upper Middle School Teacher Post Posts. Q. What is the Full Form of MPPEB ? A. 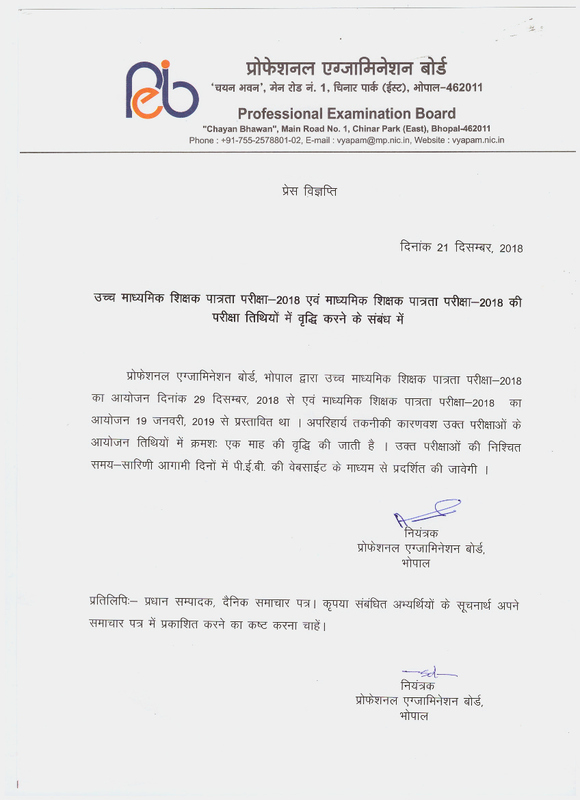 Full Form of MPPEB is Madhya Pradesh Professional Examination Board .